In this season God is releasing more and more Spirit-led experiences to us, because we’re seated in Christ in heavenly places. On this episode we interview Lisa Perna, host of Touched By Prayer (www.touchedbyprayer.com), about what these encounters look like and how we can experience them for ourselves. The Bible tells about people like Enoch, Abraham, Moses, David, Paul, and many others who had amazing encounters with God. Can we experience encounters like they did? 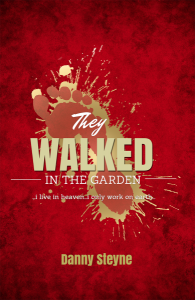 Our special guest is Danny Steyne, apostolic leader of the Mountain of Worship, whose brand new book, “They Walked in the Garden,” reveals how these stories are actually invitations from heaven to experience what they did. John the apostle was invited to come up and experience heaven, and wrote about it in the book of Revelation. What about us today? Is it possible to “visit” heaven in the spirit realm and see what’s happening there? Gary and Russ share their understanding and experiences, including why God would want us to do this. Jesus said, “My Father is glorified by this, that you bear much fruit, and so prove to be My disciples.” (John 15:8) Jesus apparently chose fruit as a way to explain our new nature. But what exactly does it represent, how do we produce it, and why is it so important to the Father? Jesus compared our relationship with Him to a vine and branches (John 15). This means our connection with Him is as normal and natural as breathing. Yet for many, it’s a struggle to actually feel and experience His presence in our daily lives. Let’s talk about some very practical ways we can change that, and grow in our awareness of Him. Hear Lisa’s story of how God took her, a simple unassuming housewife / mom, and transformed her into a power-packed miracle worker, and learn how God can do the same for you. Ultimately the Day of Atonement is about getting back into the glory realm. The high priest entered into the glory by the blood. Jesus our high priest entered into the true glory of the throne-room on our behalf so we have full access, not just on a special day. Father God is inviting us into a year of encountering m,ore of His glory and presence, and seeing more of His power released for creative miracles. Will we respond to His invitation, and how should we partner with Him in this?